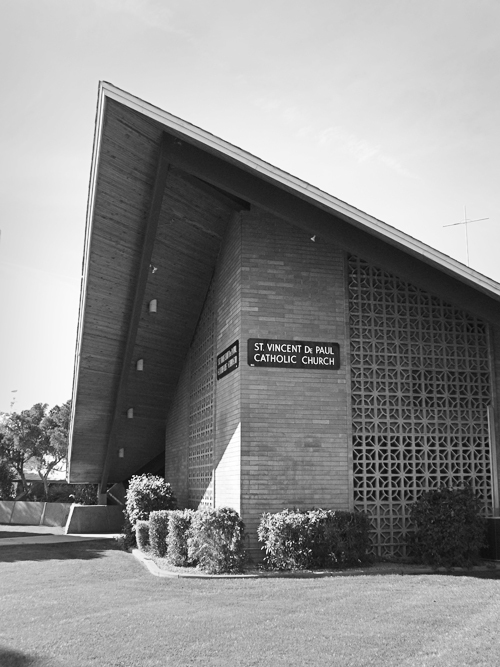 Ralph Burgess Haver AIA practiced architecture in metropolitan Phoenix, Arizona, from 1945 until the mid 1980s. He's best known today for his modest Haver Homes, which are affordable tract housing designed in a casual contemporary modern style. These modest Haver homes are prized by designers and do-it-yourselfers alike as modern spaces to adapt for contemporary living. Haver Homes were often designed to be expansible for a growing family and changing needs, and so expand they have for the last 65 years. Haver Homes are also regarded for their understated promotion of cheerful good living. Making families feel comfortable through good design was one of his life pursuits. But the story of Ralph Haver's work goes much deeper than his quest for perfection in affordable single-family housing in the postwar era. A man dedicated to faith, civics, professionalism, mentorship, femininity, frugality and good humor characterizes his influence on the period of explosive growth in the Phoenix Metro area at midcentury. Haver was a model citizen who helped to build a community as much as enjoy it by serving in the Rotary Club, Boy Scouts and the American Institute of Architects. He wasn't a talented bystander or fringe figure. He thrived in the thick of the movement that would turn Phoenix into the nation's sixth largest city fifty years later. The popular revival of Ralph Haver's designs in the 21st Century has often been compared to revival of California's Joseph Eichler, simply by similarity in design style. 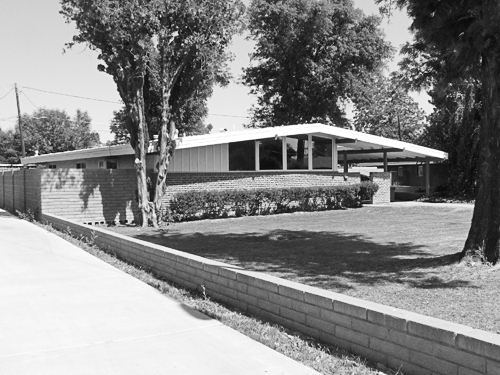 However, instead of being a real estate developer like Eichler, Haver was an architect who knew how to communicate with developers to populate his designs on a large scale. His role in bringing modern design sensibility to the masses is more comparable to the role of A. Quincy Jones who designed for developer Eichler in California. Haver's own family played the supporting role as real estate developer. His relationship with developers valleywide grew out of ties forged during World War II by his father, a mason, and his brother, a building contractor. All saw opportunity in Phoenix and gradually relocated their wives and children from California to Phoenix specifically to help build the city we know today. The women would play a crucial role in the financing of Haver Homes just as much as the men; their names appear on documents as early as 1945. 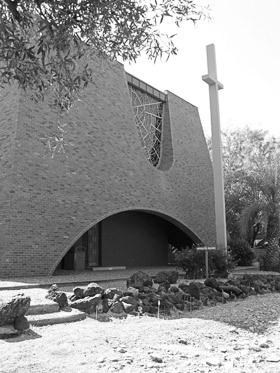 It is difficult for any Valley resident to not have been touched by Haver's architecture in some capacity—whether through experincing banks, schools, churches, civic buildings, convenience stores, industrial complexes or residential neighborhoods. His firm's work is simply that pervasive. Haver's interest was so deeply rooted in both large scale and small scale projects that he is partly responsible for the overall unifying look of the Valley of the Sun. While other firms gamely competed for civic and commercial commissions and collaborated with him on many projects, the volume and spread of Haver & Nunn's residential design impact can't be matched by any other architectural firm of its time. 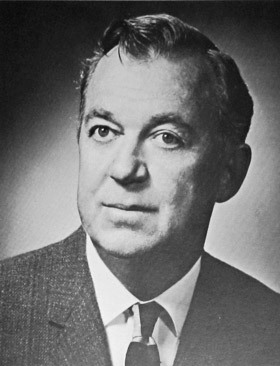 Ralph Haver AIA was born in California as the son of a 3rd generation mason. Exposed to his father's work and the creative possibilities of building he expressed at an early age that he wanted to be an architect. 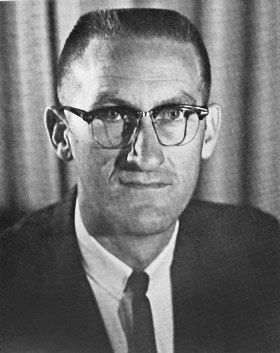 He trained at the University of Southern California, Pasadena for a degree in architecture, the same creative community and possibly same faculty that fostered a young Calvin C. Straub FAIA, the design community's future "Father of Post and Beam Architecture" who would later join the growth boom in Phoenix as a Professor of Architecture at Arizona State University in 1961. Haver relocated to Phoenix immediately after his separation of service to the U.S. Army Corps of Engineers in 1946 and began shaping the city's look with the assistance of his brother Robert and father Harry who had already thrown down roots by providing building services to Phoenix in wartime. Haver and his father both settled in the farmland that would soon become Uptown Phoenix—two miles north of city boundaries at the time. 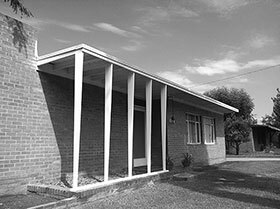 His first set of experimental modern contemporary ranch homes was created in the Hixson Homes subdivision near 12th Street and Highland—a former citrus grove now called Canal North after its position immediately north of the city's Grand Canal. Three red brick homes were built in efficient shorthand between the brothers, possbily fueled by the popular Arts and Architecture Case Study call to action to provide affordable housing in an attractive and modern package. It wasn't long before Haver's custom homes began to make appearances in local and national print media. 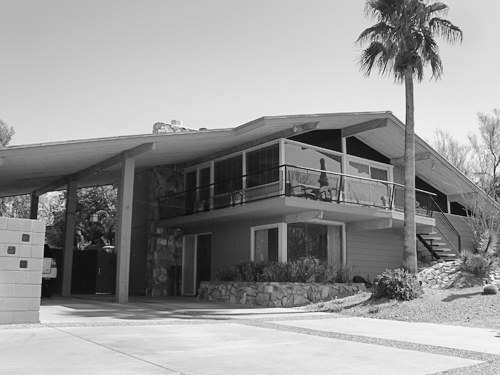 Two of his earliest experiments, the Country Club Apartments and the Peggy Reed Home in central Phoenix were photographed by Julius Shulman for this purpose. Haver often wrote his own articles and maintained a steady presence in the public eye by writing for popular magazines and trade journals. During these early years Haver mentored under established architect Ed Varney and remained lifelong friends and collaborators with him long after breaking off and creating his own firm a few years later. When Haver met fresh new graduate Jimmie Nunn through a mutual friend over a casual lunch in 1952, a 30-year business partnership and lifelong friendship was forged. Jimmie Nunn FAIA was Arizona-born and Colorado-trained, helping to expand Haver & Nunn's reach north and managing the crucial business end of public relations, zoning, board approvals and site supervision while Haver focused on the creative end. Without this clear division of labor, the firm probably would not have been able to accomplish so much design work in so many different venues. Nunn was likened by the Haver family to Mayberry's Sheriff Andy Griffith, a firm but likeable fellow whom everyone wanted to please. According to Haver himself, Nunn had the patience of Job. Colleagues charactreized them as "salt and pepper", with Nunn as the salt of the earth and Haver, well... Haver as lively as pepper. Haver also collaborated with prominent Valley developers and contractors, including Del Webb, Fred Woodward, Sam Kitchell, David Friedman, Samuel Hoffman, Dan Mardian and Dell Trailor. As his firm grew, he also mentored young Valley architects such as Bennie Gonzales, Burke Wyatt, Bob Mrozinski and Bob Frankeberger. His commitment to training students enrolled in the newly accredited Arizona State University School of Architecture students was deep and spanned decades; a scholarship was named after him. Many architects can attribute their first practical experience to internships at Haver & Nunn; many recorded accounts are recalled with fondest appreciation for the hands-on experience at one of the most prolific firms of the region. Ralph Haver is responsible for so much of the design of postwar Phoenix that Haver & Nunn that his firm is considered to be among one of the largest producing firms of the time. They designed churches, schools, municipal buildings, stores, malls, factories, multifamily housing, tract housing and custom homes. Contemporary a rchitectural design firm peers included Varney Sydnor Sexton Architects, Alfred Newman Beadle, Weaver & Drover, Fred Guirey, John Sing Tang, Bennie Gonzales, Joe B. Wong, and Lescher & Mahoney. Many alumni report that when business was slow at one firm, they'd gamely shuffle staff to another office to help out with the workload. In general the Architect's Row of offices along Camelback and Central Avenue was a congenial and unified group focused on civic development and pride through design. 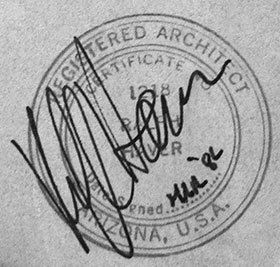 Blueprints as verification for authenticity of Haver Home designs are rare, as many residences were created outside of Phoenix city boundaries at the time and so plans are not on file. Many of Haver's drawings, renderings and records were destroyed when the firm finally went out of business—they ended up in a dumpster when their Missouri office building was abated in the 1980s. The firm's portfolios compiled for the purpose of securing major commissions provide official documentation that is referenced heavily on this website. Documentation of custom home sites and tract neighborhoods was largely absent from these portfolios, and so it has been Modern Phoenix's pursuit to pinpoint and verify the once and remaining inventory for the record. Haver-designed buildings, while rather ubiquitous but still valued as icons in metropolitan Phoenix, are not immune from destruction. His elegant and acclaimed Ciné Capri theater styled by Director James Salter AIA and in collaboration with architect Henry George Greene was demolished in 1998, and the 1960 Coronado High School was largely demolished by 2006 as part of a citywide improvement of school facilities. 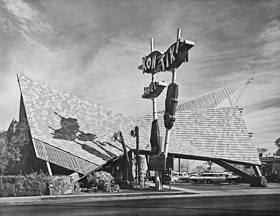 The Polynesian-themed Kon Tiki motel, also styled by Salter with classically showy roadside signage by Glen Gulette on Van Buren has been demolished as well. Some cases of preservation arise as beacons of hope. The award-winning Arizona Bank at 16th Street and Bethany Home was adapted into a restaurant with significant changes but attracting more people each day to enjoy the architecture than the bank probably ever drew. 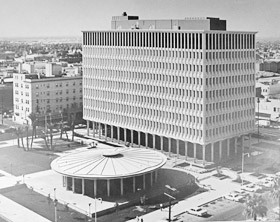 The Phoenix Municipal Complex co-designed with Ed Varney & Associates (now the Calvin C. Goode building) maintains the external appearance largely as it did in 1962. Custom homes such as the Hopkins House, both Haver Family Homes, the Evertson Residence, the Poladian Residence and dozens of tract homes valleywide have been kept remarkably intact despite the challenges of modern living. Of concern to the preservation community is the tendency toward erecting second story additions on Haver Homes, rendering the original low-lying profile of the homes historically incongruous and altering the overall fabric and modest scale of the tract neighborhoods. Others claim these small and sometimes cramped home plans are largely outdated for present-day living and were designed to be modified from the start. Yet other camps cite that the housing is cheap, common and unattractive by today's standards and has little value at all for preservation or rehabilitation. Architects and landscape designers have used Haver Homes for decades as their own Case Studies to test out personal theories of adaptation. Since Haver Homes were often designed from the drawing board to accommodate easy expansion, it is interesting to entertain the debate of whether or not these homes' historical integrity has been brutally violated or a perfectly appropriate fulfillment of the American Dream. Only Ralph Haver will know; we Modern Phoenicians can only speculate. Text and photos copyright 2011 The Modern Phoenix Archive. All Rights Reserved.